Olivier Blanchard is a French-born, American-based Senior Analyst with Futurum Research, a Brand Management, Digital Marketing, and Digital Transformation consultant, the author of three best-selling books, and an acclaimed keynote speaker. He draws from his years of experience in Product Development, Strategic Marketing, Technology Integration, and Business Management roles across a range of B2B, B2C and B2G industries, to help companies and their partner ecosystems develop successful business strategies, properly deploy new technologies and agile business capabilities, and align their programs and investments to business goals and objectives. Though based in the US, his geographic range extends beyond North America to Europe, Latin America, the Middle East and Asia. Olivier is the author of the best-selling #1 social business desk reference for digital managers and business executives: Social Media ROI: Managing and Measuring Social Media Efforts In Your Organization (Que/Pearson), and the co-author of The Ultimate Field Guide to Digital Program Management, and Building Dragons: Digital Transformation in the Experience Economy. 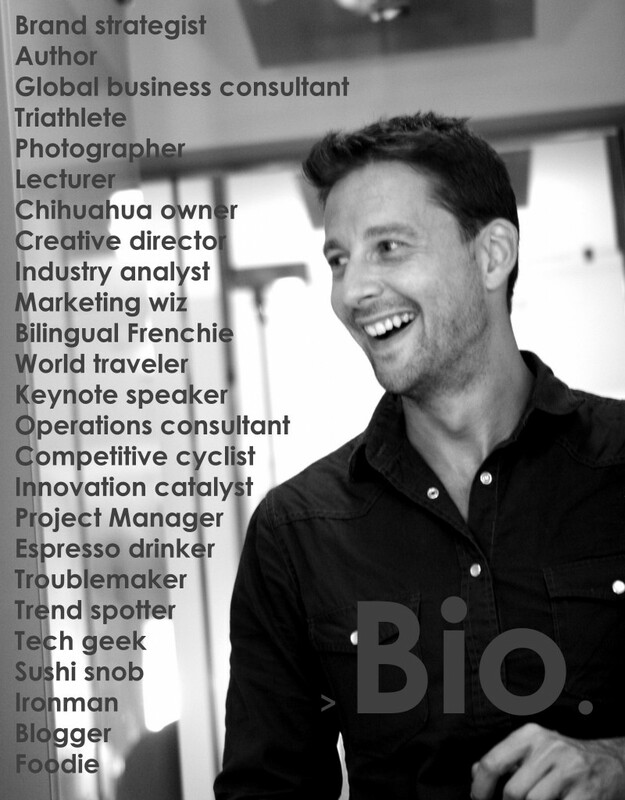 Olivier is also a sought-after subject-matter expert, keynote speaker, and corporate trainer. Olivier has worked with companies large and small. Among them: Microsoft, IBM, Cisco, Dell, IIR (Middle East); ADMA (Australia); iab, Sanoma Media, WDM Belgium, i-SCOOP, EDC London (Europe); InterLat Group (Latin America), CEGN, the Fondation de Gaspé Beaubien (Canada), PRSA, Jive Software, MIMA, Raytheon, the Federal Reserve System, the Centers for Disease Control (CDC), the University of North Carolina, Clemson University, Loyola University, Ford Canada, Design Centers International, Adobe, Verizon, Hincapie Sportswear, Americas Mart, K2 Sports, Tickr, Raytheon, Corante, Smartbrief, Lexis Nexis, Intercontinental Hotels Group, Dassault Systemes and General Mills. Corporate background: Olivier has spent over two decades working in product development, innovation, brand management and marketing, technology integration, business development, change management, and digital transformation. His extensive experience working with B2B, B2C, and B2G companies, managing large scale projects, and his understanding of new technologies and international markets, have contributed to his unique breadth of operational expertise. Education: Olivier holds an International Baccalaureate degree from the International School of Brussels and a BA in Political Science from Furman University. He is fluent in both English and French. Military Service: Olivier is a decorated veteran of the Fusiliers Marins (French Navy Marines), where he served as a junior officer before embarking on his business career. Business Writing: In addition to Social Media ROI, The Ultimate Field Guide to Digital Project Management, and Building Dragons: Digital Transformation in the Experience Economy), Olivier has been blogging for years. His blog (formerly The BrandBuilder Blog) now lives here. You can check out the complete feed here or choose between one of three categories: Business, Lifestyle, and Writing. He also contributes to the Futurum Insights blog on a regular basis, which you can access here. Happy reading. Personal Life: Olivier is an accomplished photographer, triathlete and cyclist. (His Instagram account serves as a daily reminder of the latter.) While he works on assignment all over the world, home base for the last 20 years has been Greenville, SC (mild winters, great cycling and not a bad place to live, apparently).